In all automated processes sensors are absolutely necessary to provide the PLC with information. They supply the necessary signals on positions, limits or serve as pulse pick-ups for counting tasks or for monitoring rotational speed. Inductive & Capacitive Proximity Switches are useful in industries for non-contact operation free from any wear & tear with high switching frequencies and accuracy. They are insensitive to vibration, dust & moisture. Inductive Sensors detect all metals without contact. 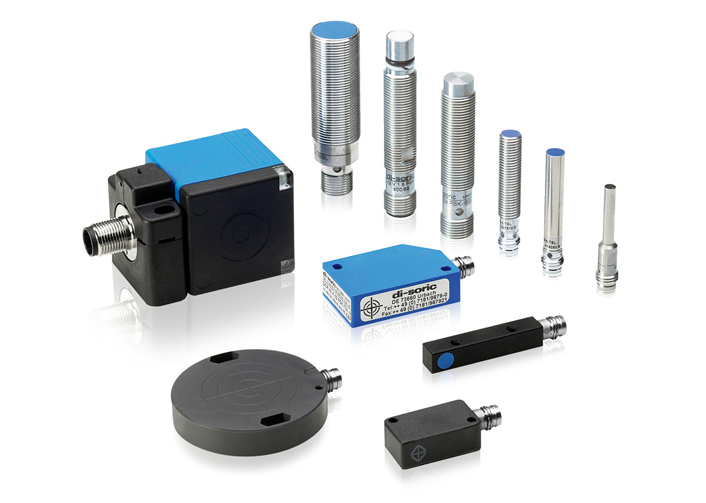 Capacitive Sensors detect almost all solid and liquid media such as metal, glass, wood, plastic, water, oil etc. Inductive Proximity Switches take advantage of the physical effect of the change in the quality factor in a resonant circuit caused by eddy current losses in conductive materials. This is how it works: ALC tuned circuit generates a high frequency electromagnetic field. This field is radiated from the active face of the oscillator. This reduce the oscillation amplitude. The change is converted into a switching signal. The operating principle permits detection of all metals irrespective of whether they are moving or not. Important: the high frequency field causes no measurable heat in the object nor is there any magnetic interference. The operation of the sensors is without interaction. The distance to the active face at which an electrically conductive material causes a change of signal in the sensor is called sensing range. The sensing range of an Inductive Proximity Switch is defined by means of a target of mild steel (Fe 360). If the switch is damped by other metals, e.g. aluminium or copper, this is reduced. Using correction factors for every kind of metal the user can calculate the attainable sensing ranges.